I loved the characters! I loved "Firefly Lane" and " Fly Away" finished the whole story. At the end of " Firefly Lane" I felt the story needed to continue- so many things that had not been discussed or feelings expressed. " Fly Away" did that! Kristin Hannah touches my heart with her story telling! 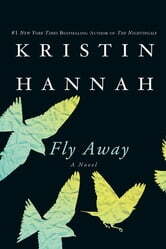 Fly Away - what a great read! This sequel to Kristin Hannah's Firefly Lane was so good! It has given me hope, and has taught me to love freely and to always remember the ones who have gone on before us. Great story and, as always, well researched. Another great book by Kristin Hannah! Until I have finished ordering and reading all her books, I will not order books from any other author. Each one of her books is different and I cannot put her books down.